How has the philosophy, architecture, science and arts of ancient Greece influenced Melbourne’s buildings, culture and livability? Our walking tour visits significant buildings, places and infrastructure to examine their history, importance and contribution to the city and their influence by Hellenic culture. 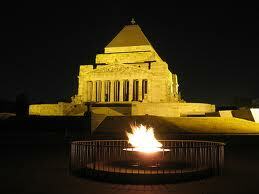 The Shrine of Remembrance is based on the Mausoleum of Halicarnasos, one of the seven wonders of the ancient world. The Greek Precinct and the annual Antipodes Festival. Piazzas, cafes and Meditteranean culture. Nicholas Buildings 27-41 Swanston Street Greek Revival and Doric commercial palazzo. 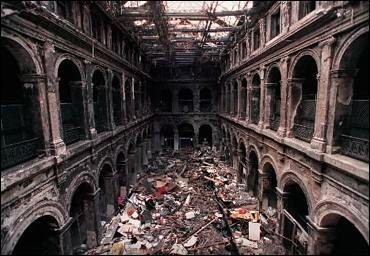 The Former Mail Exchange is of architectural significance as a major example of the early work of the Commonwealth Department of Works and its first chief architect, J.S. Murdoch. The building is a distinguished example of beaux-arts classical design, and its Greek flavour was ten years ahead of Melbourne’s mainstream Modern Greek revival. Olympic Park, Olympic Blvd, Melbourne VIC 3000. The Former Port of Melbourne Authority Building is of architectural significance as one of the most accomplished examples in Melbourne of 20th century Beaux-Arts-influenced Greek Revival architecture. Argus Building, Elizabeth Street, Beaux Arts. Athenaum, Collins Street is a club, library, theatre and art centre inspired by the sanctuary of Athena at Athens 7th century BC which was frequented by poets and scholars. Nonda Katsilidis the Greek architect is one of Melbourne’s most influential architects through landmark buildings such as Eureka , Phoenix, Republic Tower, and many others. The Main Hall of the Old Customs House (now the Immigration Museum) is an inside-out version of the Erechtheon, a temple near the Parthenon in Athens. Inventions including Geometry, Libraries, Anchor, Alarm Clock, Automatic Doors, Cement, Central Heating: Clock Tower, Coin money, Crane, Lighthouse, Maps, Odometer, Plumbing, Sinks, Showers, Spiral Staircases, Steam Engines, Surveying tools, Thermometer, Urban Planning, Vending Machines, Olympics and Water Mill.